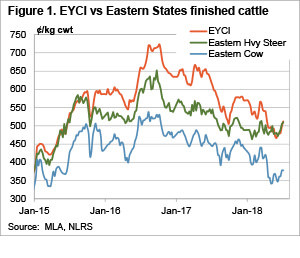 A bit of precipitation and weakening supply has seen cattle prices continue to rally this week, with the Eastern Young Cattle Indicator (EYCI) breaking back through the important 500¢ mark. Slaughter cattle prices also improved, as supply goes into its usual winter hibernation. It’s strange to look at the weekly eastern cattle indicators and see the EYCI at a 98¢ discount to this time last year, while the Medium and Heavy Steer Indicators are just 10¢ behind this time last year (figure 1). While finished cattle are showing some strength, cows have also rallied, but are nowhere near their prices of last year, at an 80¢ discount. The bit of rain which has been seen in some parts of southern Queensland and northern NSW needs some serious follow up before we see the supply of cows weaken. It was Queensland where the main price movements were this week. 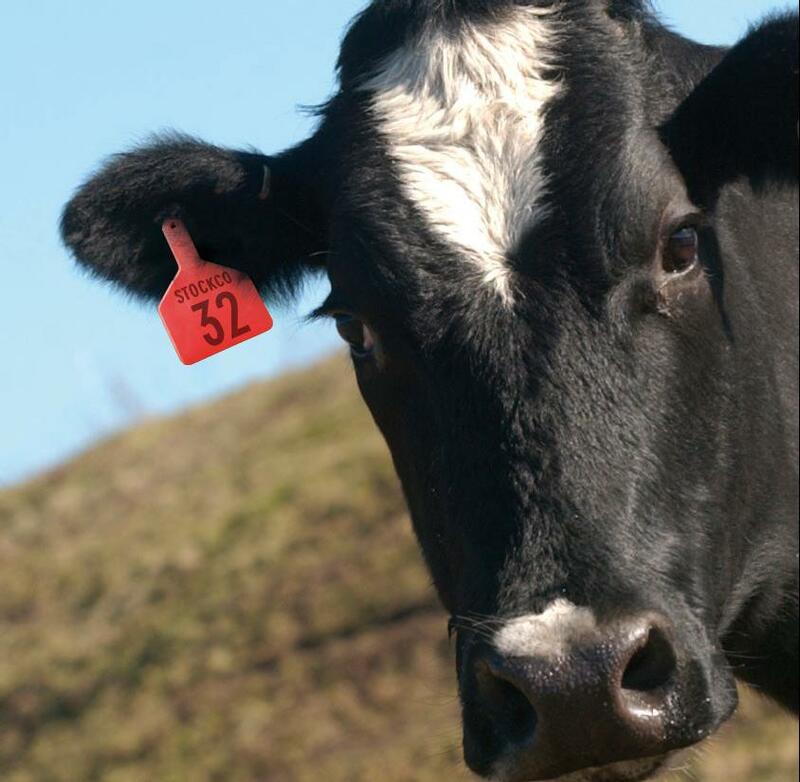 The Queensland Heavy Steer gained 48¢ to hit 516¢/kg cwt. This is still well behind NSW (562¢) and Victoria (533¢) where the tight finished cattle supply is hitting hardest. Given the lack of grass available in NSW and Queensland there is unlikely to be a lot of finished grassfed cattle around for some time. This might see prices continue to rally, or at least maintain strength, and also support grainfed prices. The Western Young Cattle Indicator (WYCI) is still outstripping its east coast counterpart, gaining 10¢ this week to move back to 526¢/kg cwt. Export prices remain solid, with the 90CL sticking at 571¢/kg swt, while the Grassfed fullset to Japan is at the same price as last year. Little wonder Heavy Grassfed Steer prices remain strong. There’s not a lot of rain on the forecast, so the dry continues. It’s hard to see the young cattle rally continuing under these conditions. Strength should remain for anything heavy enough to feed or finished enough to kill, but the little light cattle might start to struggle again.